For 65 years, we’ve been making the toughest, warmest gear out there. We won’t put our name on just anything. So if it says RefrigiWear, you know it’s the best. But when it is the best of the best, we sign our name. And that is how the Signature Collection was born. 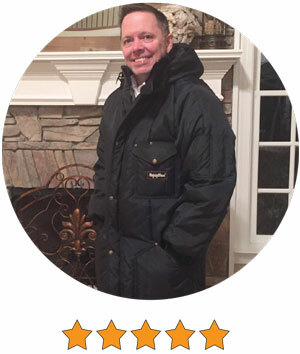 Every RefrigiWear product provides unparalleled toughness and warmth. Sometimes you just need a little something extra – like extra functionality, different features or style that can be worn for more than just work. When we design Signature items, we think about more than just super durability and lasting warmth. We think about the other things you need to tough out your day. Not everything gets to be called Signature. We hand pick these items to represent RefrigiWear because they are the best of what we offer. Our Signature Collection contains products from a few of our lines, including Iron-Tuff®, ChillBreaker® Plus, and the collections below. 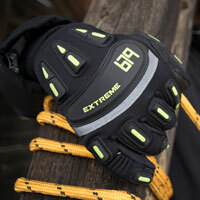 Extreme Collection: When the cold makes others stay at home, you take it to the extreme. 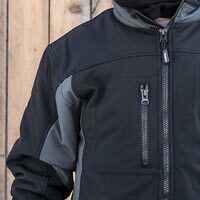 Our Extreme Collection offers badass head-to-toe protection and features the only garments on the market rated to -60°F so you stay safe and warm even in the harshest conditions. PolarForce Collection:You don’t give excuses. You get the job done no matter what, which is exactly what the PolarForce™ Collection lets you do. 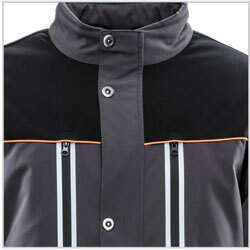 It was designed for flexibility, warmth and improved performance. Rated to -40°F with features that give you maximum freedom of movement to get the job done, excuses will be for the other guys. 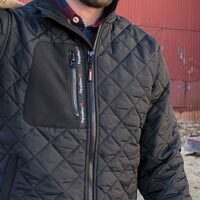 Quilted: Puffer jackets are a popular style, but aren’t ideal for work because of their bulk and thin outershell. Not so with our Quilted Jackets. More durable than standard puffers, these jackets aren’t just stylish – they’re hard workers. Softshell: They’re tough, warm and look good to boot. 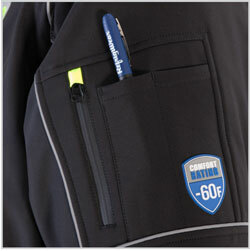 Get a modern athletic style and industrial strength durability with the RefrigiWear® Softshell Collection. Softshell is breathable, flexible and less bulky than other materials – so you can get down and dirty when you need to. Performance Gloves: You’ve got tough jobs to do, we’ve got the handwear that says “bring it on.” Performance Gloves offer a range of features such as added grip-materials on the palm, impact protection and more dexterity.